Nanette "Nan" Elizabeth Roser Cleveland was a remarkable lady, caring for and loving her family and her friends. 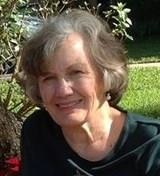 She was a member of the class of 1964 and at the age of 70 she passed away on November 21, 2016. Born to Elvyn and Nellie Roser on August 8, 1946, Nan cherished her younger sister, Karen. She graduated from Northwestern University in 1964. Her first loves were her husband, Ben Sr., and her son, Benjamin Jr. (Camilla) She was a proud grandmother of two wonderful grandchildren, her grandson Shaun (Amanda) and her granddaughter Lexi. She enjoyed quilting, sewing, painting, gardening and she was an avid reader. No one could deny her love of dogs, especially for her sweet dog, Star. The Johnson High alumni will miss Nan very much. Click here to see NANETTE's last Profile entry.